R.B. Stevenson Gallery is pleased to announce a solo exhibition of new paintings by Los Angeles artist Michael Reafsnyder. This is Michael Reafsnyder's 3rd solo exhibition at the R.B. Stevenson Gallery. The exhibition will open with a public reception on: Saturday March 3rd from 5 to 8 pm. 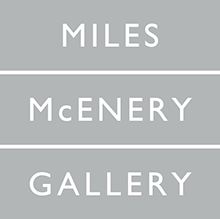 His solo exhibitions include such venues as Ameringer | McEnery | Yohe, New York, NY; Western Project, Culver City, CA; R.B. Stevenson Gallery, La Jolla, CA; Blum and Poe, Santa Monica, CA; Marty Walker Gallery, Dallas, Galeria Marta Cervera, Madrid, Spain; Uplands Gallery, Melbourne, Australia; and W.C.C.A. in Singapore. 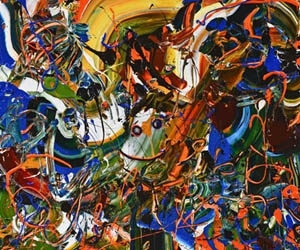 In 2005, he was the subject of a solo exhibition of his paintings from 2002-2005 at the Las Vegas Art Museum, Las Vegas, NV. Reafsnyder's work has been reviewed in numerous publications, including Art Issues, Artnews, Art Ltd, Artforum, Artweek, Bomb, Los Angeles Times, Modern Painters, San Francisco Chronicle, Flash Art Italy, ABC and El Mundo. His work is in numerous public and private collections including: Los Angeles County Museum of Art, Museum of Contemporary Art San Diego, Harvard University, Columbus Museum of Art, and the Portland Art Museum.